In the aftermath of Wednesday’s terror attack in Westminster we look at the impact it made locally across our region. Five people have died, with 50 more injured - some critically - after Wednesday’s terror attack near the Houses of Parliament. Kent-born muslim convert Khalid Masood, 52 - formerly Adrian Elms - drove at pedestrians in his car on Westminster Bridge. He then crashed his hired Hyundai SUV into the railings in front of Parliament Yard before bursting through the gate to the Palace of Westminster with two large knives where he fatally stabbed unarmed Pc Keith Palmer, 48. He was shot dead moments later by a close protection officer attached to Defence Secretary Sir Michael Fallon. 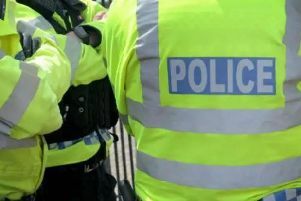 The incident has sent shockwaves across the country, but how did it impact our region... here are the stories that have been making the headlines across our titles in the South Midlands.